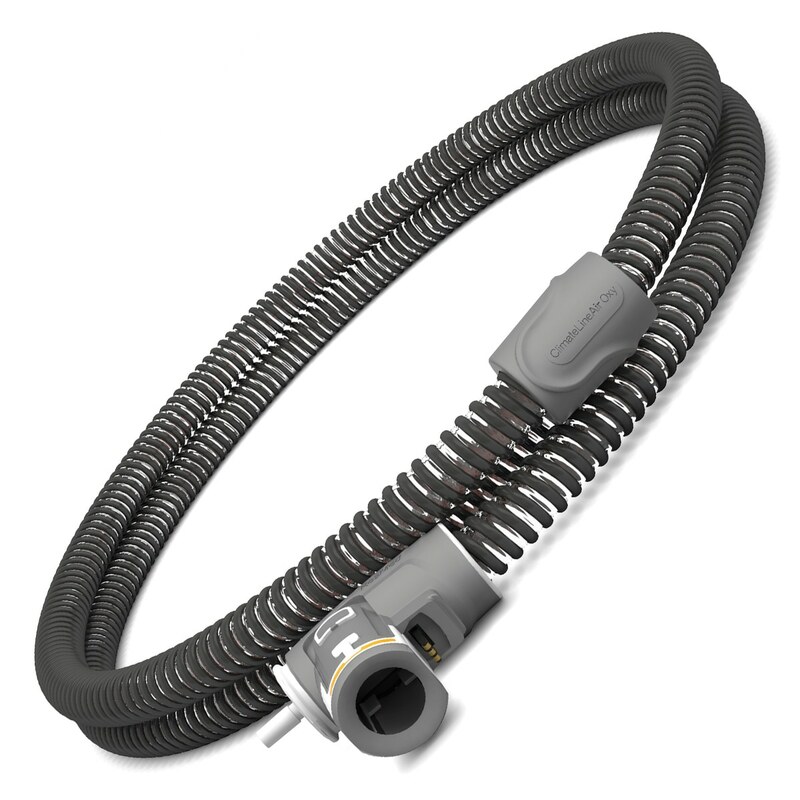 ClimateLine OXY Heated Tubing is designed exclusively for use with ResMed's AirSense 10 Series CPAP and AirCurve 10 Series BiLevel machines. 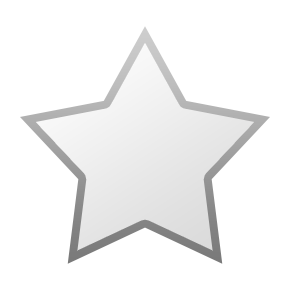 It includes a supplemental oxygen port built directly into the tube so it is an ideal solution for Sleep Therapy users who also require oxygen therapy. ClimateLineAir OXY adjusts heating and humidity throughout the night to protect against rainout and deliver constant, comfortable temperature and humidity levels. It also features a 360° swivel for increased freedom of movement without kinks or dragging. When a ClimateLineAir OXY tube is attached to your sleep therapy device it will automatically engage a special Auto Climate Control Mode. Auto Climate Control monitors temperature and humidity levels at the mask and in the breathing tube, and adjusts automatically as required to reduce rainout and achieve optimum temperatures and humidity levels for a comfortable sleep therapy experience. ClimateLineAir OXY is slightly wider than standard ClimateLineAir Heated Tubing so it can support the higher pressure levels, up to 30 cm H2O, often used by BiLevel therapy users. 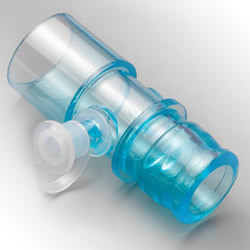 In addition ClimateLineAir OXY's built in oxygen port provides a simple way for oxygen users to titrate oxygen into their sleep therapy air so it is full mixed and warmed in the tube rather than inserted via the face mask or an oxygen connector adapter. Usage Information: ClimateLineAir OXY tubing can only be used when your AirSense 10 or AirCurve 10 HumidAir humidifier is on and activated with water in the chamber. ClimateLineAir OXY tubing should be washed weekly in warm water with a mild detergent. 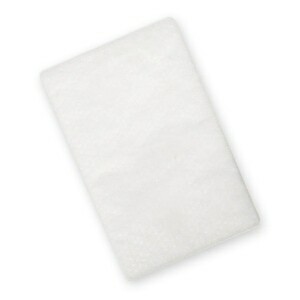 Once washed it should be rinsed thoroughly and allowed to air dry (out of direct sunlight and/or heat). Do NOT reattach ClimateLineAir OXY tubing to your sleep therapy device until the tubing is completely dry. For full instructions please review the ClimateLineAir User Guide. Makes life a lot easier being able to input Oxygen directly into hose without having to run separate Oxygen hose to mast. 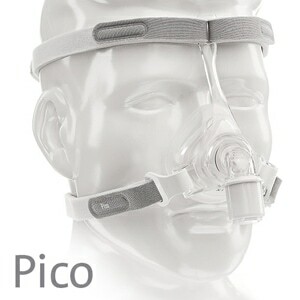 I use a CPAP with full face mask and oxygen. 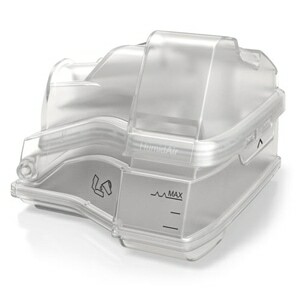 The AirSense 10 was the first CPAP I have owned where oxygen was not fed into the CPAP itself. Having an air line attached to the front of my mask was irritating...one more thing to contend with. 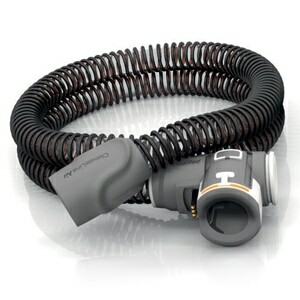 So, the new ClimateLine with oxygen was on my wish list for 9 months. It is now available and works well, It ain't fancy but it gets rid of the weight and clutter of an air line connected to the front of the mask. I'm satisfied!